Ciate Dewy Stix Luminous Highlighting Balm. It gives you a beautiful glow that looks more natural and carefree than any other highlighter I have come across. With no heavy shimmer, the balm application has a unique formulation that smoothly glides on to the skin and dries (no sticking feeling), almost melting on to the skin's surface for a subtle, radiant finished look. 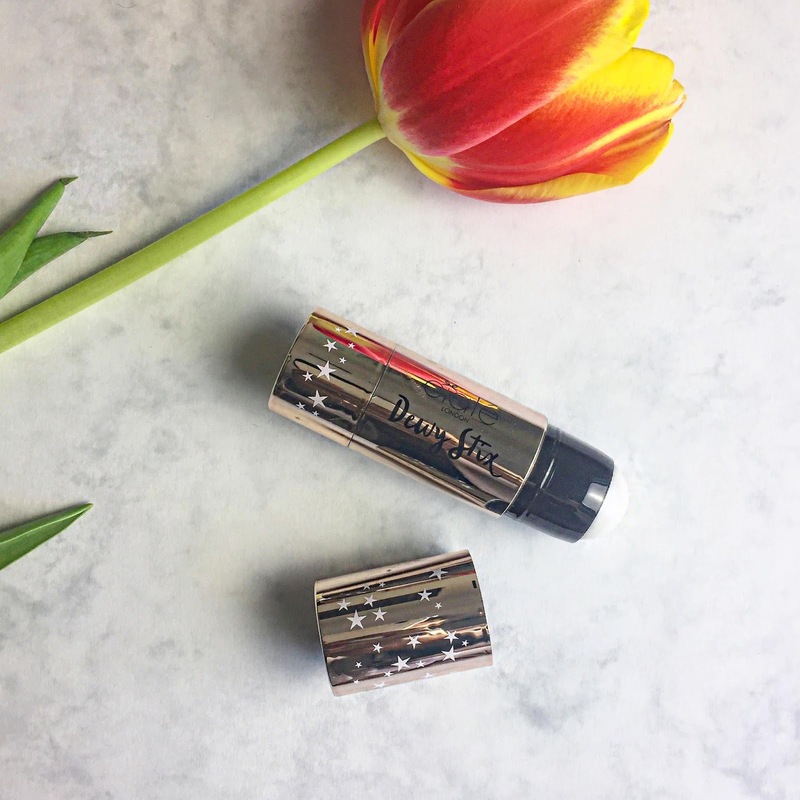 The round tip of the Dewy Stix is your best friend here. I say this because it makes your makeup application so much easier, with just a simple glide on the areas you want the light to hit, it beats you getting a makeup brush for you to apply with. I have my days (or nearly everyday in fact) when I want a 'no makeup' makeup look with a glow (can you tell I love to glow already 😆). This product is perfect for a 'less done' appearance. One thing I noticed when I was out and about was it lasted throughout the day, making reapplication unneeded. Now, if you love your highlight to be very disrespectful and when I mean disrespectful, I mean BEAMING and you're not a fan of the whole subtle, natural look. I would suggest you apply the Dewy Stix first and then your chosen highlight on top for a more exaggerated glow. For my darker complexion ladies, this is amazing on any skin tone and you can totally rock it because of its unique balm formula, it pops and it's bound to get noticed! This has become my default highlighter for everyday! You can find the Ciate Dewy Stix (£22) from the Ciate website. Are you into highlighting? Tell me what you think of this product? I'm loving your natural glow so pretty! I really need to check this product out as i'm guilty of loving the semi-heavy shimmer lol but need to change it up!